This happened few weeks before. But i am putting it down here so that I can read it in future and smile. I am contacting you to check if you would be interested in working with Amazon Hyderabad for a Software Development Engineer. Kindly respond back to -: XYZ@amazon.com to take this forward. To which I replied that I would be interested in internship and forwarded my CV. 1) How did they reach me? : “Frankly speaking I don’t know. Someone said that HRs usually scroll linkedin and contact people with good profile. This could be the reason, but am not sure about it. Even both HRs, ABC and XYZ are not connected to me anyway. Not even in linkedin. I regularly maintain my linkedin profile, which u can check at: http://in.linkedin.com/in/kreezire. Moving further, After weeks of my respond, they finally called me and scheduled my written test. ( I thought it was for INTERNSHIP.) It was a coding test. I was given three questions and total time was about 1.5 hours. It was on Interview Street only. No objectives type questions. Two of them were solved using DP while the third one was relatively easy. After written, I had series of telephonic interviews (all technical). Interviewer asked me even to code on collabedit. Collabedit is a site that allows collaborative editing. So, any change I make in my doc appeared on his computer also. Now, about the questions, Amazon usually repeat their questions every year. So, it is always good if you check few blogs to see previous year questions (which I did only for my last interview). My written was completely different! Their favorite topics for interview are binary trees and binary search trees. My first interview was only about BT and BST. I gave 4 different algo to check if a BT is BST. The person who takes technical interview is not generally from HR department (Obvious!). He might belong to the department for which you are about to be selected. Apparently, I cleared all the rounds. 1) Study Data structures. At-least you should know all definitions. I did not know that in BST equality always appear with the left child. My interviewer told this to me. 2) Interviewer gives time to think. But do not ever take too much time to answer. After that! I guess most of my friends wanted to know what happened finally. For them, don’t worry am still unemployed. Now the craziest thing which no one knows is that on the day of my last telephonic conversation, i received another “similar looking mail” from Amazon asking if i would like to work with them. The only difference is that this time it was from Amazon BANGALORE! academia , in his talk. from HAL, NTRO, Army, IAF and DST. 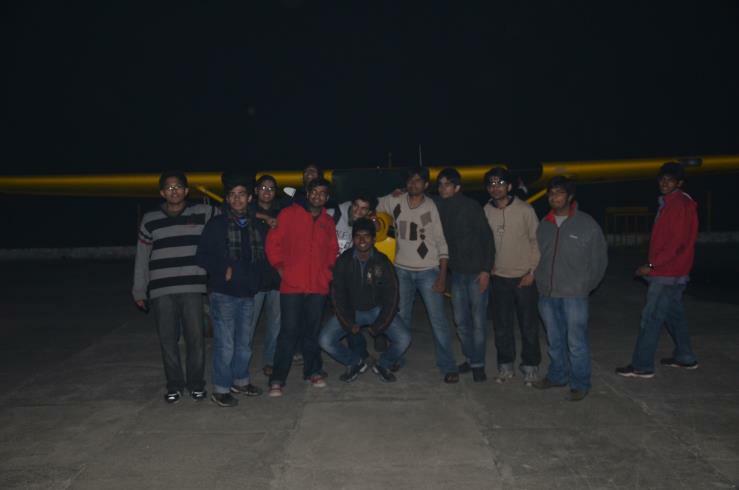 The Flight Day was attended by engineers from HAL and NTRO amongst others. visual inspection by the attendees, which was followed by a question and answer session. UAS-DTU is a project undertaken by B.Tech. Students in Delhi Technological University. 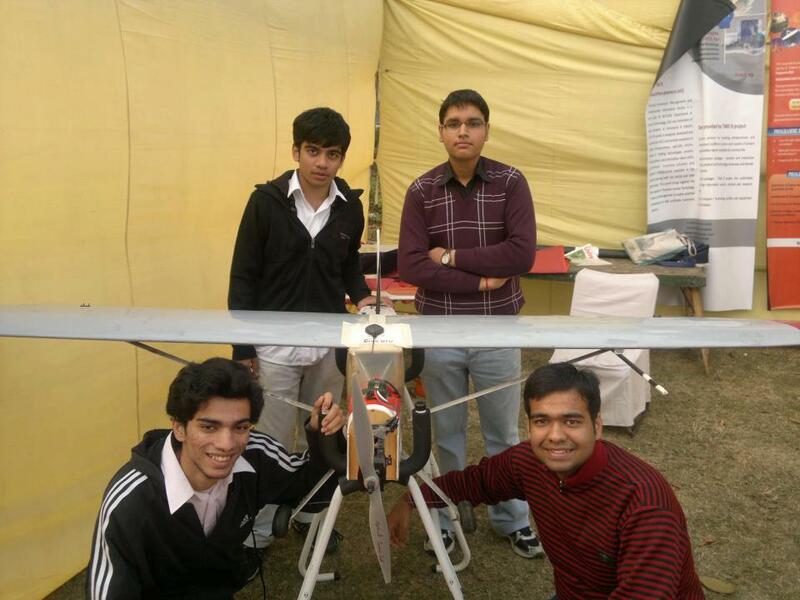 The DTU UAS project was initiated with the primary purpose of developing technologies so as to reduce India’s dependance on foreign ISR (Intelligence, Surveillance and Reconnaisance) products. – Minimize the usage of Commercial Off The Shelf products so as to keep the costs low. 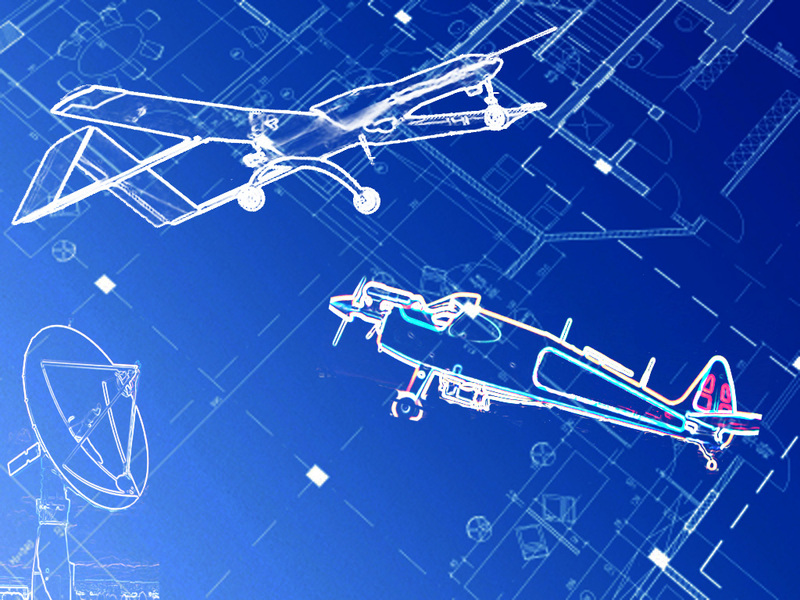 – Develop UAVs with reliabilty and safety as their core USPs. This was all i read about it when i just entered into the college and was not a part of this project. But soon i can to knew about my interest in Image Processing and I thank Harsh Agrawal sir (one of the team member) who made me know my interest. So, when the team started recruitment in August I too applied. The recruitment process was really good and I really admire it. After passing the written exam i went under series of interview. And to my strange in one of the interview I was even asked to play Portal game (to check my skills). My last interview was a 7 hour interview started at 12 noon till & p.m. I was determined throughout. And yeah !! i got selected. So, I entered the team as Software Developer, Image Processing. Since that day, I have learned a lot be it about image processing or may many other aspects of life. Working under the finest Leader Jayant Malani was an immense pleasure to me. Seeing the greatest minds like Kumar Shaurya Shankar acted like lots of inspiration to me. Resp. Shivang Baveja taught me the definition of dedication. I feel that am writing late about UAS but there is never too late for good stuff. Working in team does not only increase my technical skills but also management. Everyone’s dedication in the team, spending sleepless nights in Lab working, standing for hours in sun for test flights , has ultimately brought us 3rd position in SUAS this year.Thanks to all people supporting us in anyway. I have many more things to say, but feel I could only say that for UAS DTU Sky is just the beginning . Finally my first post as a Microsoft Student Partner. It was in November 2011, when I was selected as a Microsoft Student Partner. Frankly, initially being unknown to the benefits and opportunities that MSP programs brings with it, I was first less involved in this program. As a MSP till now I have conducted various technical sessions majority of them being on Windows Phone 7. Its was this MSP program that drag me towards windows phone 7 app development. Windows Phone App development excited me because I could develop apps quickly and easily. Once i developed about three apps in a day . 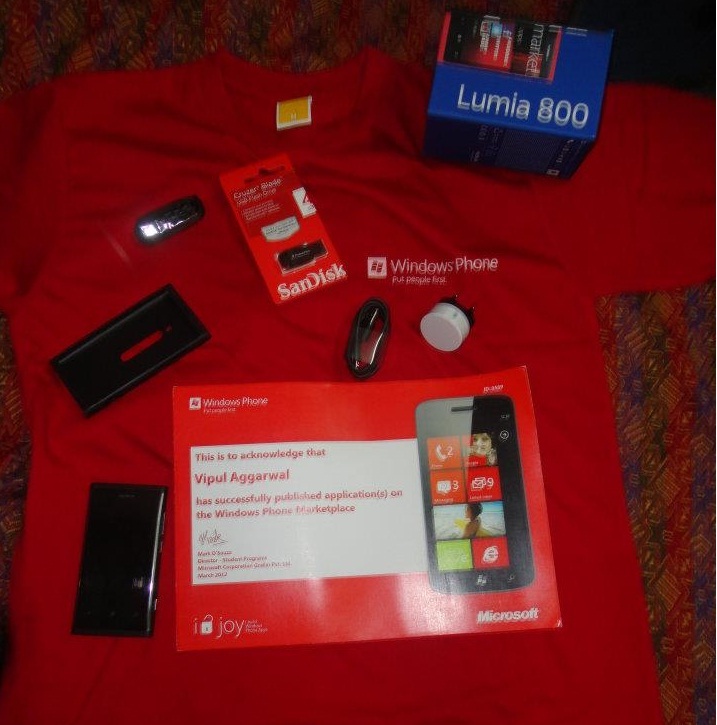 And when you get a chance to win Nokia Lumia 800 for free why wont you develop apps ?? It would be unjust with this show stopper if don’ t upload its pic. So here i go…..
1) Vibration with Ringtone – cummon Nokia 1100 even have it …. 4) I felt it more of like Iphone architecture…. Apart from this learning, conducting sessions and organizing events like Dream Spark Yatra with fellow MSPs brings lots of fun. Not boosting much opportunities we get as MSP, I will say: BE IT AND HAVE IT.